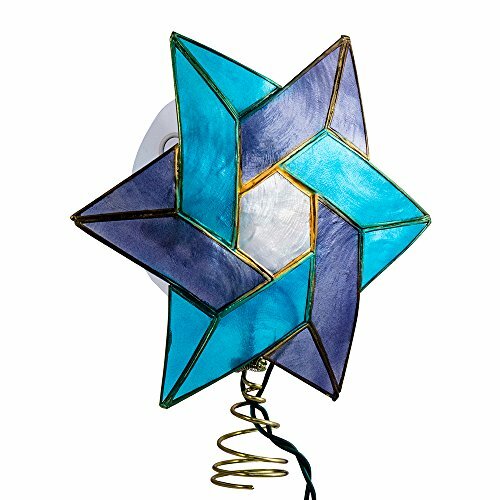 This Kurt Adler 10 Light 8.5-inch Star of David Capiz Colored Treetop is a fun and unique addition to all of your holiday décor. The treetop is composed of two triangles. One sitting right side up and the other lays on top of the first sitting up side down. The standard triangle lights up purple and the one that sits up side down lights up a beautiful baby blue. Includes 4 spare bulbs and 2 spare fuses.